In a picturesque spot overlooking Elliott Bay, and with the green backdrop of the Cascade Mountains to the east and the Olympic Mountains to the west, Seattle is more of a confederation of neighbourhoods than a city. Here you’ll find art, beer and coffee in abundance, along with an open-minded, if polite, vibe and great food. The best places to stay in Seattle range from wonderful, historic city break hotels to arty, contemporary spa hotels. It was a tough assignment, but our Guru’s recommendations for the best places to stay in Seattle are a refined selection of great independent hotels with just a few familiar names. But before you make your final selection from the list of the best places to stay in Seattle, here are a few of this town’s highlights to whet your appetite. Obviously you’ll want to visit Pike Place Market and the Space Needle. Depending on your personal tastes one of these is bound to be part of the reason you’re considering Seattle as a destination. That or you love Frasier. Pike Place is packed with great little independent business, including, of course, a number of this town’s microbreweries and coffee houses, and still feels very ‘local market’ despite its fame. And the wonderful Space Needle, built for the World’s Fair in 1962, and now a great place to see the city from and a pricey restaurant. Pioneer Square Park, which is where the city started, is definitely worth passing though, as is the Olympic Sculpture Park. Kerry Park is great too, but it will take you a bit longer to get out to Queen Anne. The EMP Museum, a modern architectural marvel housing a museum to rock-and-roll, will take a bit more of your time, as will the fascinating Henry Art Museum and the impressive Seattle Art Museum. The Science Fiction Museum is an unusual place to visit and, if you enjoy that, you might also like to stroll through the Seattle Metaphysical Library. Of course you’ll definitely want to sample Seattle’s coffee houses, microbrews and its music venues - probably in that order. 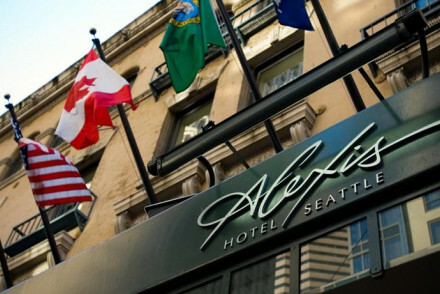 It's a busy year round destination, so if you want to be sure of a bed in one of the best places to stay in Seattle, do yourself a favour and book well ahead. 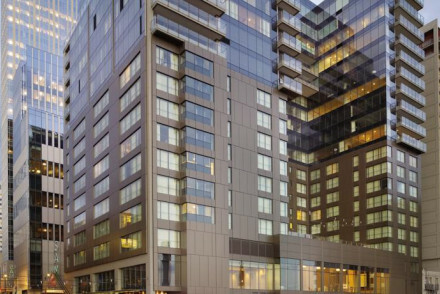 The Hotel 1000 offers contemporary luxury sandwiched between Pike Place and Belltown. The 120 rooms are large, and there’s a great spa and gym, and a lively bar and restaurant. 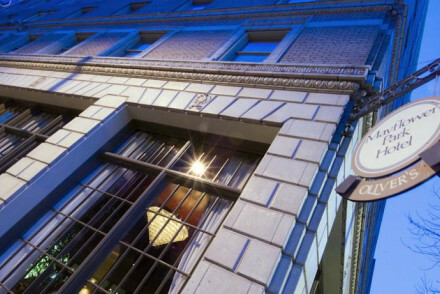 The Alexis Hotel is a other well located, contemporary hotel, this time with a full Aveda spa. There’s every amenity you could imagine, plus the great Bookshop Cafe & Bar. 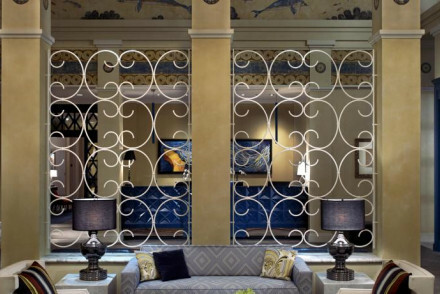 The Mayflower Park Hotel was built in 1927 and oozes style and history, from its stained glass windows and extra high ceilings to the terracotta details of its elegant exterior. There are 160 spacious rooms with a Mediterranean restaurant. 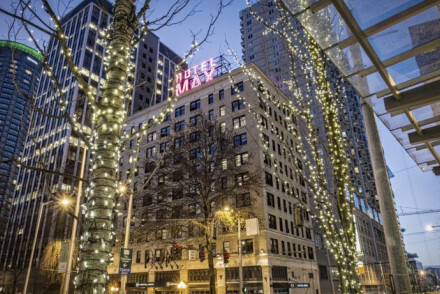 You’re also right in the centre of town, by the Pike Place Market and Smith Tower. 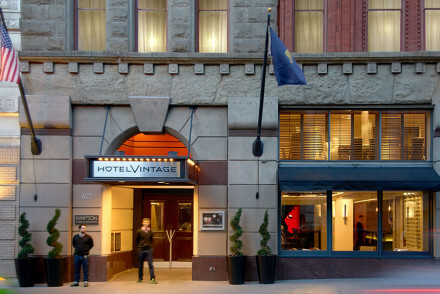 The Hotel Vintage is another hotel offering old fashioned luxury in the heart of Seattle. There are floor to ceiling windows and amazing views, plus there’s a great Italian restaurant. 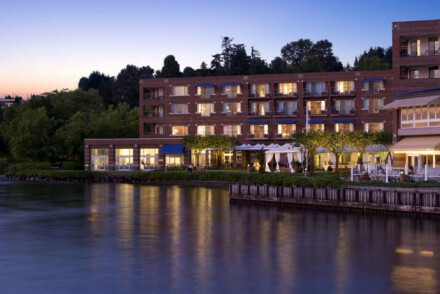 For a different outlook, try the Woodmark Hotel, a luxurious, riverside spot right on Lake Washington. Rooms are large and well equipped, there’s a Mediterranean restaurant, a cafe and a spa. The Four Seasons Seattle has fantastic ocean views from many rooms, as well as from the restaurant and the rooftop pool. Plus there’s all the luxury you’d expect with the brand and a lively bar. 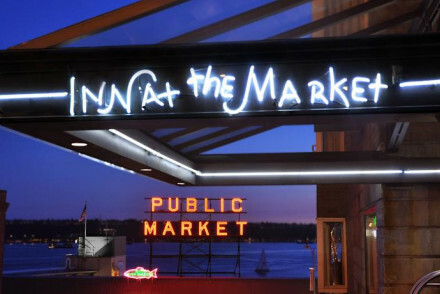 The Inn at the market is right in Pike Place Market, with views over Elliot Bay. There are 70 rooms - some with amazing views - and a choice of three restaurants and a roof terrace. The Hotel Monaco is a contemporary styled hotel in the centre of town with 24 hour fitness and business facilities - but also all the mod. cons., including coffee machines and jet baths in the 190 rooms. Rooms start from just over £100 per night. For a similar price you could also stay at the Hotel Max, which has just had a modern re-vamp in bold colours. Local artists have also contributed to the design of this well located hotel, and they’ve made the most of their great city views. 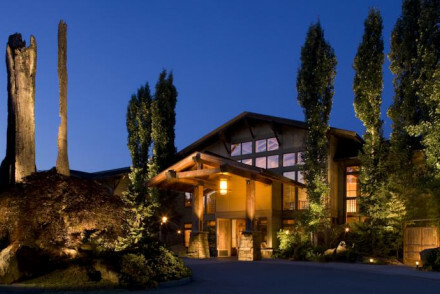 Willows Lodge is a timber lodge with 84 modern rooms, surrounded by local wineries and great hiking paths. There’s a choice of restaurants and a fantastic spa. Still not sure which to book? Browse through our list of all the best places to stay in Seattle, expand your search to include all our Washington State recommendations, or contact one of our friendly Gurus for advice. 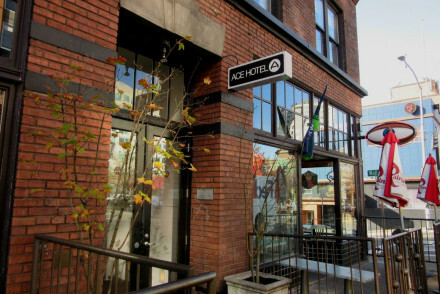 Situated in Belltown with views of the Olympic Mountains and Elliot Bay this is the original Ace Hotel. Twenty eight comfortable rooms and interiors filled with loft ceilings, hardwood floors and interesting artworks. Plus a shared kitchen for creating your own breakfast. Value chic - Stylish rooms start from as little as $129 per night if you're happy to share a bathroom. Local markets - Pike Place Market for a collection of restaurants, bars and shops. 1927 downtown hotel oozes history, from the exterior terracotta tile detailing to the tall ceilings; stain glass windows and Grandfather Clock. Spacious rooms are comfortable with antique tiled floors. All the mod-cons are available. Andaluca Restaurant offers a taste of the Med. Great location! Sights nearby - Seattle Monorail, just outside the hotel, is perfect way to travel to see sights such as The Space Needle. Local markets - The Pike Place Market is within walking distance. This contemporary central Seattle hotel offers 24-hour fitness and business facilities, Med styled rooms with jet-baths and all the mod-cons. Sazerac offers a range of regional dishes and a mighty selection of cocktails, wine and beer. Ideal base for families plus the dog to explore Seattle. Local markets - Pike Place Market for restaurants, bars and boutique shops. Sights nearby - Space Needle. Hotel Max has had a modern revamp of bold colours, incorporating local artists works and a popular restaurant serving Northwest cuisine. The rooms house all the mod-cons and great downtown cityscape views. Great location for exploring Seattle by foot, bike or boat for foodies and families alike. Sights nearby - Hop on the subway and check out the Space Neddle. Rich tones, luxurious rooms matched with floor-to-ceiling windows for views and natural light. Bathrooms are modern & rooms offer all mod-cons. Enjoy the nightly wine and the popular Italian restaurant, Tulio. A perfect spot for couples to explore Seattle. Ideal base for restaurants, bars and shops. Sights nearby - Around Waterfront Park or Woodland Park - both offering great views. Local markets - Famous Pike Place Market for shopping and restuarants. Views - Steps from the waterfront at Elliot Bay. Sights nearby - Pioneer Square is a 5 minute walk away. Luxury lakeside hotel in Kirkland with views of said lake and water activities. Rooms are generous in size, extremely comfortable and well equipped. The Cafe is open all day and for Mediterranean dinner book Bin on the Lake. Seattle is close-by, but the spa might mean you never leave. Great walks - The lake offers beautiful views and a great walking opportunity. Kayaking - A leisurly pastime upon the lake. This contemporary downtown hotel offers a full Avurveda spa and gym. The vast rooms offer a comfortable stay with all amenities one could wish. Bookshop Cafe & Bar is a fun spot to eat, but do explore Seattle's restaurants and bars. Perfect for families and those on business. Great walks - Three blocks away is Michigan Lake and worth a stroll at sunset. Local markets - Pike Place Market is a short walk away. Sights nearby - Pioneer Square. Eastern Seattle timber lodge's roaring fire welcomes guests with modern, comfortable rooms that mean guests leave pampered and refreshed. Local wineries, hiking routes and kayaking are on the agenda or stay in at the spa. Do not miss Barking Frog Restaurant or The Herbfarm - both lively and popular. Great walks - Burke Gilman Trail is 26 miles long to Seattle - great for a walk, run or bike ride. Sights nearby - 21 Acres is a community based farm that demonstrates suistanable living. In Pike Place Market, overlooking Elliot Bay and home to three restaurants - this contemporary, comfortable hotel offers spectacular views from its rooftop and rooms. The feeling is one of space and light. Café Champagne, Bacco Bistro and Cha:n are all in-house and popular. Location is spot on! Local markets - While you stay in Pike Place Market make sure you catch a glimpse of the famouse fish tossing. Sights nearby - Hop on the monorail to see the Space Needle. Great walks - Around town and along Michigan Lake. 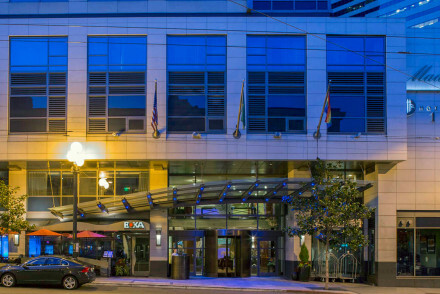 Downtown Seattle luxury hotel boasts stunning Ocean views from rooms, rooftop pool and restaurants. Large, light rooms exude comfort and offer the mod-cons associated with this luxurious chain of hotels. Goldfinch Tavern is a Pacific Northwest affair with lively bar and sweeping views of Elliot Bay. Local markets - Pike Place Market is a great hub for restaurants, bars and boutique shops. Sights nearby - The 1962 futuristic Space Needle is the landmark to note of Seattle.